September 4, 1998 can be looked back upon as the beginning of the end of the second incarnation of KZZP. The irony here is that nothing was changed at KZZP on that Friday-before-Labor-Day-Weekend. Rather, the new owners of KZZP and crosstown KGLQ 96.9 (later KMXP), Jacor, decided to flip KGLQ from Classic Hits “Eagle 96.9” to a Rock-oriented Hot AC format as “Mix 96.9”. (See above for details and audio from that debut.) Why was this bad for KZZP? It’s because the new Mix 96.9 became one of (Modern AC-formatted) KZZP’s strongest competitors. It is no coincidence that KZZP, as a Modern AC, saw its 12+ ratings tumble from the 5.5-6.0 range into the 4-share range in the first ratings book that included Mix 96.9. This seemed like the perfect excuse to flip KZZP from Modern AC to CHR/Pop, and that’s exactly what began happening on February 19, 1999. From that point, and through the next 6 weeks, KZZP began to slowly phase in more Rhythmic titles alongside the existing Modern AC-ish selections already on the playlist. On April 2, 1999, the change to CHR/Pop was complete. However, “104-7 ZZP” never really caught on, and there have been many theories trying to explain why. Poor decisions and inconsistencies regarding air talent and the rather generic “plain vanilla” playlist were two of the more common rationales provided. But the biggest problem may have been the “ZZP” name itself. 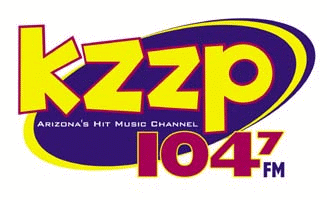 When KZZP returned in 1996, it used the heritage KZZP call letters to its advantage. The audience that, in its youth, listened to KZZP in the 80’s (as a CHR/Pop outlet), was, for the most part, no longer listening to CHR/Pop. That’s probably why KZZP chose to return as a Modern AC — because the Modern AC format targeted the adult$ that listened to CHR/Pop in the 80’s. It was a brilliant move. But in 1999, Jacor (now Clear Channel) tried to use that same heritage factor to make “104-7 ZZP” succeed. Common sense dictates that it wouldn’t work, and such was the case. How much of today’s CHR/Pop audience listened to, remembers, or even was old enough to remember the original KZZP? 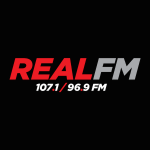 Perhaps the best move would have been to start a brand new CHR/Pop from scratch on 104.7, with little or no links to the past. That move eventually did come, but not for two more years. After bringing aboard Rick Dees in August 2000 (as a replacement for the low-rated, but live-and-local “Ron and Don” morning show), 104-7 ZZP’s overall ratings fell into the mid-2 to low-3 share range — lower than what they had with Ron and Don doing mornings, and certainly lower than what the Modern AC KZZP achieved for most of its 3-year life. On April 20, 2001, at 6:00 pm, 104-7 ZZP began playing “Kiss” by Prince repeatedly. On April 23, 2001, the stunting ended. 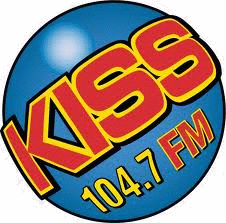 Phoenix became one of the many markets to be “Kissed” by Clear Channel, as “104-7 Kiss-FM” was born.